Looking beautiful in person does not guarantee the same in photos too. Lighting can be your friend or foe depending on the type and the direction from which it hits your face. If there is too much of lighting, things such as your naturally thick eyebrows could eventually appear thinner thereby giving an incomplete look. So never attempt posing for your camera ,especially with flash without touching up your brows. Rule No 1 for an Instagram-ready pic - Fill your eyebrows well with a good eyebrow pencil. Now talking about Eyebrow pencils, what are the shades that you have to be looking at? I have seen makeup artists use black eyebrow pencil and really wondered how fake can it make a person look on their D-Day. I am not a pro in filling in brows but I do use hem occasionally when I have to attend weddings etc so that it looks complete & fuller. 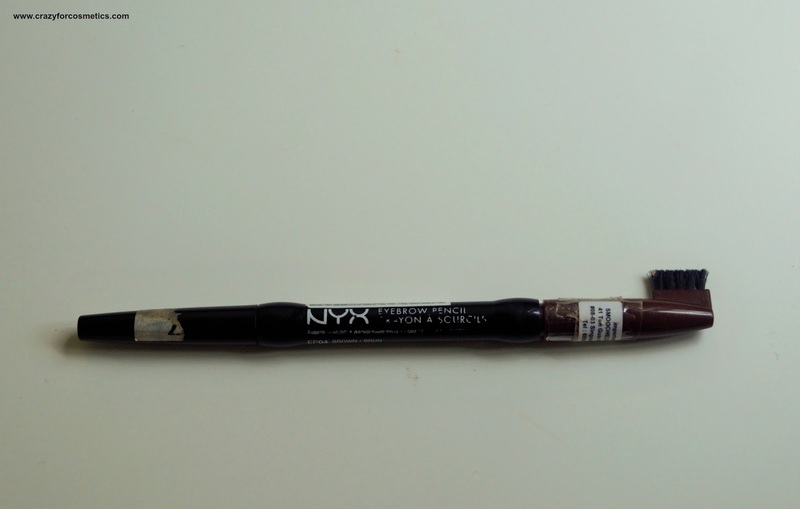 I have been using the NYX Eyebrow pencil for about 6 months now and I am liking it a lot. The Nyx Eyebrow auto pencil is really compact with the brush on one end and the pencil on the other end. 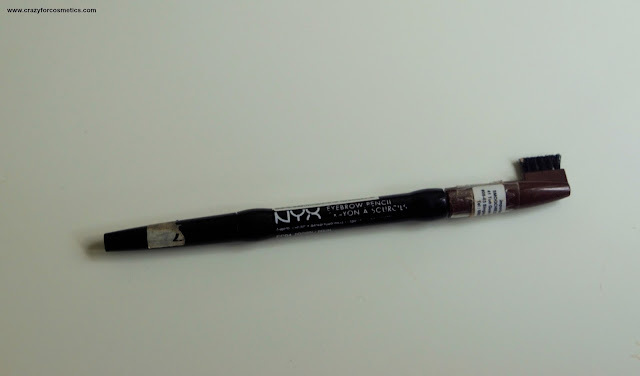 The NYX eyebrow pencil has really stylish and elegant packaging and the shade name is also indicated on the pencil. 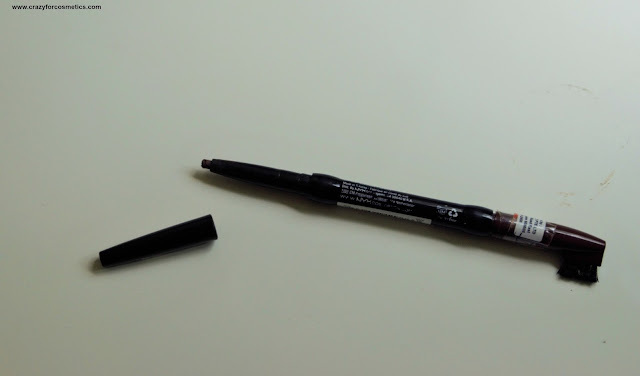 The brush helps you to shape your brows and indicate gaps wherein you can fill up using the pencil. 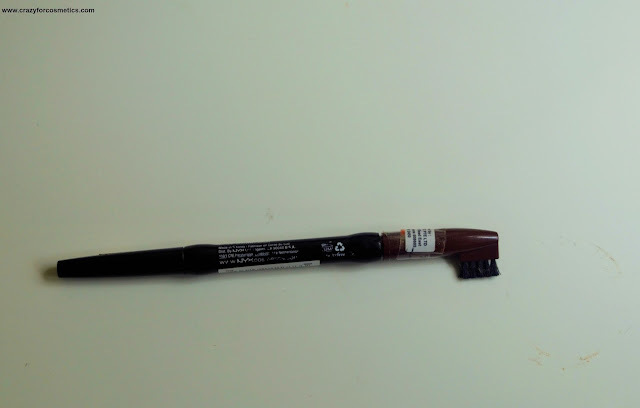 The auto design of the pencil enables you to easily use it when you do not have the time to sharpen the pencil and just a little bit of the pencil deliver intense pigmentation and hence would last a long time. The texture is extremely creamy and the eyebrow pencil delivers an intense chocolaty brown color in 2 swipes and it matches my eyebrows perfectly. The color sets in about one minute and does not budge for several hours which can keep you tension free without the need to refill your brows now & then. You can also use an eyebrow gel to set it in place if you are attending a wedding or something. I prefer minimal products while getting ready and try to stick to just this eyebrow pencil. 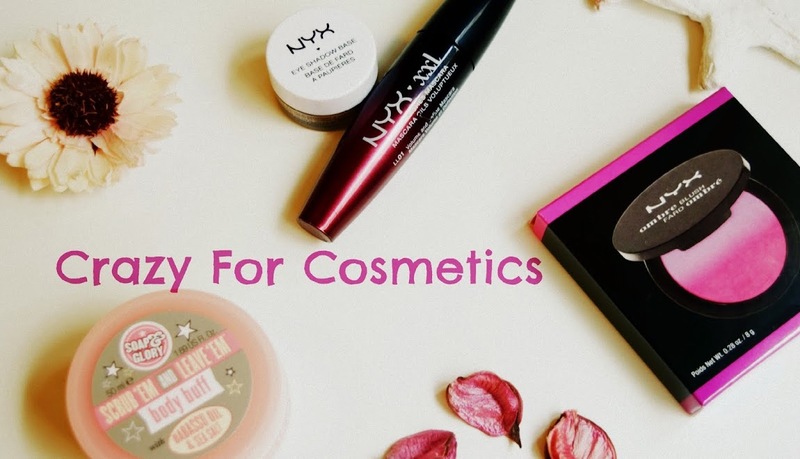 Try to avoid rubbing your eyebrows while you have applied this so that it does not smudge and form streaks. 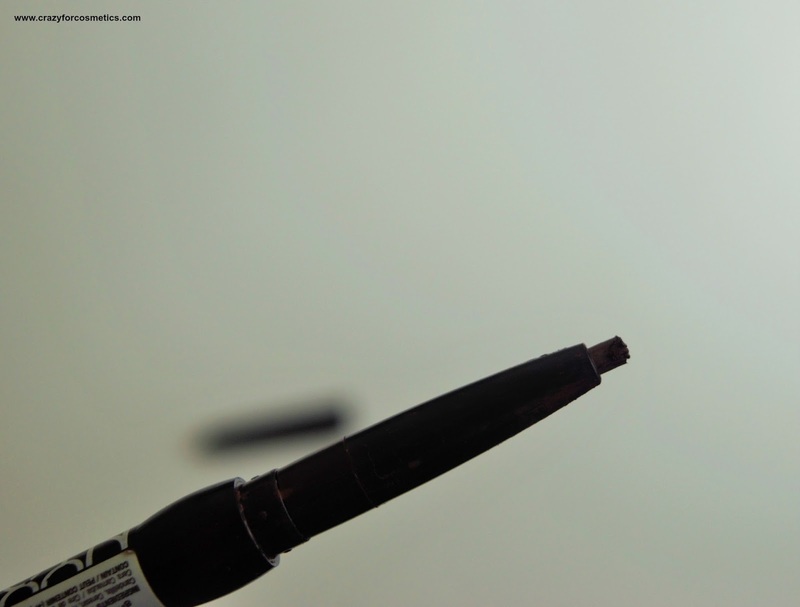 Application of the eyebrow pencil is quite easy and you just need to draw thin lines and blend them well. 3: Available in a variety of shades. 4: Stays for about 5 hours without smudging. 1: Cannot think of any.